In August 1995 there were 18000 websites worldwide, by 2009 this had risen to 215 million. With this sort of growth it’s no surprise there’s been a massive increase in the number and scale of data centres. 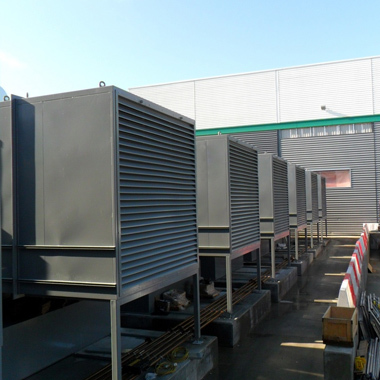 When a large London data centre provider commissioned a UK generator set manufacturer, Bradgate were asked to design and manufacture 7 bespoke containers for 2200 Kva diesel generators -providing a total of 21 MW of power - the main technical consideration was the proximity to residential houses that were located a matter of metres away. We were given a site specific regulations that sound from the generators could not exceed 60 dBA at 1m from the generator/container combination. The units ended up weighing 58 tonnes and measuring 17.3 x 3.8 x 3.7. 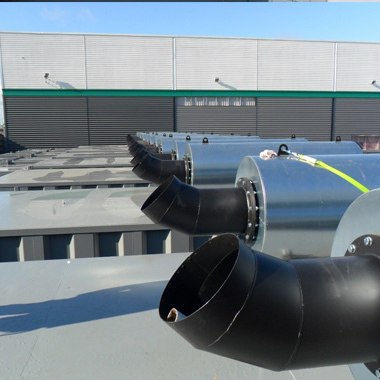 Using our experience and expertise Bradgate devised an effective solution which included preventing the generators from transferring noise and vibration to the 33,000l fuel tanks beneath. Complete testing took place off-site at our own facility, and was supervised by the end client so that they had total confidence and assurance before operational installation of the containers. An additional challenge were logistics, it being imperative that all 7 units be delivered to schedule within a single week to minimize lifting costs and site install time.